Mountain Paradise. Luxury, Convenience, Location! Come Stay with Us. 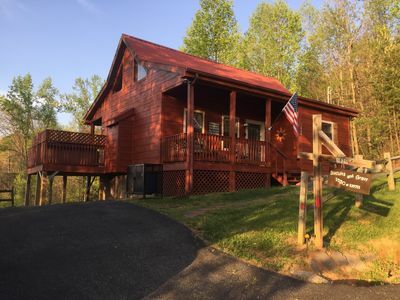 'Mountain Paradise' is a 3-level, luxury cabin located in a beautiful resort setting convenient to all that the Pigeon Forge area has to offer. 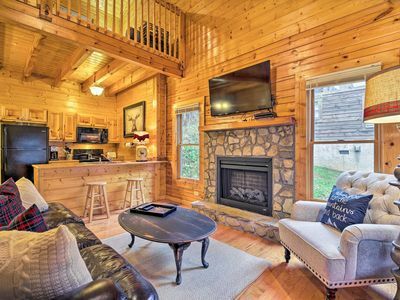 Located just minutes from all the major attractions you will be amazed at how quickly you can assess the Parkway, enjoy a nightly show, spend the day shopping, enjoy a day full of adventure at Dollywood or take in the natural splendor of the Great Smoky Mountains National Park. 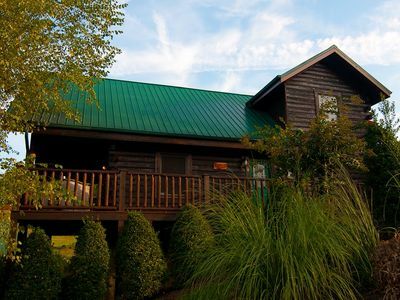 'Mountain Paradise' is everything you could ask for; convenient location, peaceful mountain relaxation and every amenity imaginable. Book now for the Absolute Best Prices! Get away from that busy schedule and be our guests. Relax, Unwind and Enjoy! 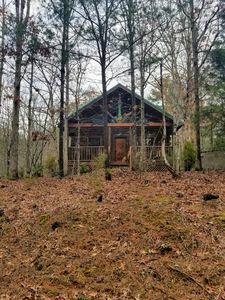 DESCRIPTION: This four-bedroom luxury cabin is loaded with all of the amenities you, your family or friends could ask for. 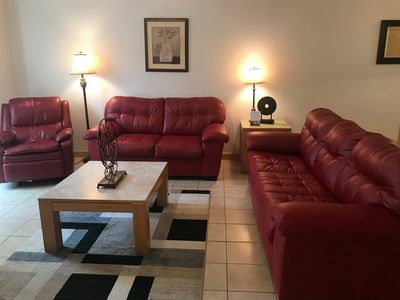 Enjoy the common areas such as the large living room, seperate theater room or retreat to one of the four king bedrooms for some quiet private time. With three floors there is plenty of space for everyone. 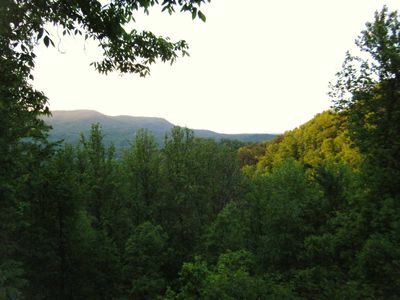 Need to unwind and relax after a long day at Dollywood or that adventure filled hike in the mountains. 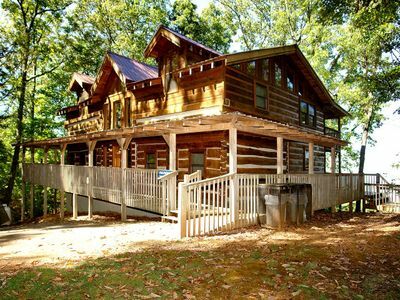 Don't stress, 'Mountain Paradise' has four king bedrooms and plenty of space to unwind and enjoy your vacation. 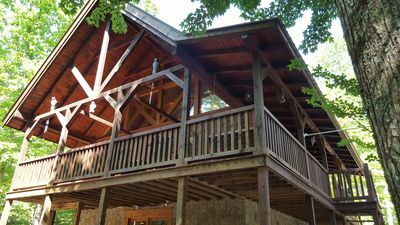 If you are traveling with someone where stairs may be a problem, the property has a bedroom located on the main level. Each of the four king bedrooms also has its own attached full bathroom. Two sleeper sofas make great beds for large groups or that last minute guest. Our first floor open living area also provides the perfect area to come together and enjoy some time as a group. Spend time talking about your daily adventures, tell some stories or just enjoy your time in the mountains. 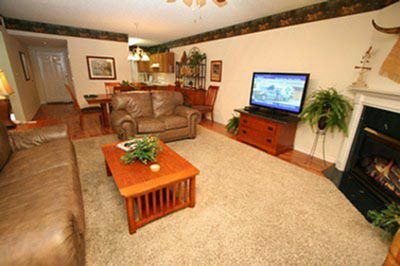 On our main level you will find a cozy fireplace and comfortable oversized furniture to enjoy your time together in our large open living room. For your convenience, a half bath is located just off the living room. On the main level you will also find our fully stocked kitchen with luxury concrete countertops allowing plenty of room to prepare your meals. Come together as a group for a delicious meal at our dining table with plenty of seating for everyone. Retreat downstairs to enjoy a movie in the theater room; take advantage of a true cinema experience at home with our oversized flat screen TV and your very own popcorn machine. 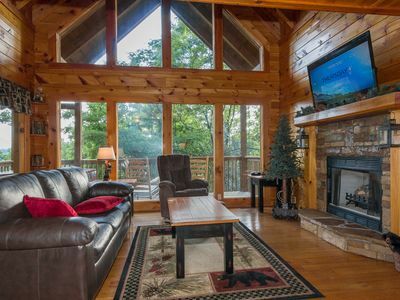 Five other TV's located throughout the cabin will keep you entertained for hours. If you are looking for additional family fun, how about a competitive game of pool on the table located downstairs. 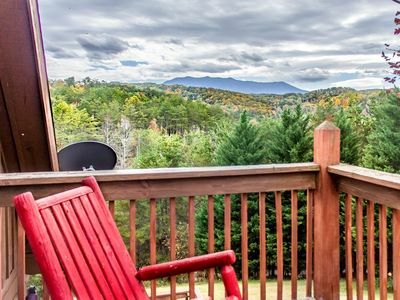 Don't forget about the two oversized porches where you can enjoy the peaceful mountain setting in one of our old time rocking chairs. 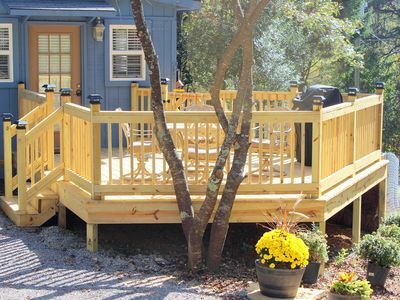 On the main floor porch, enjoy grilling your favorite foods on the propane gas grill. Relax on the lower level and enjoy our 6 seater hot tub. 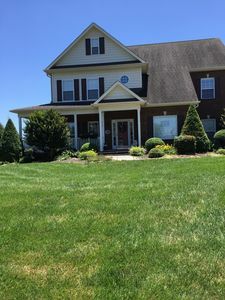 If visiting during the summer, lounge by the 50x24 foot sports pool while the little ones splash in the Zero-entry kid’s pool with water features. FULL ACCESS TO SWIMMING POOL RIGHT AT THE RESORT PROPERTY!! 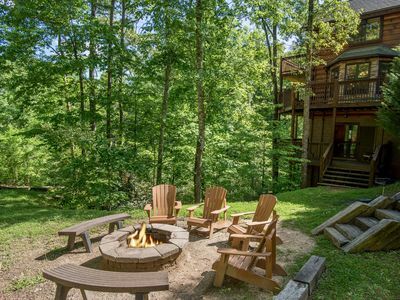 'Mountain Paradise' offers everything to complete your ideal vacation. 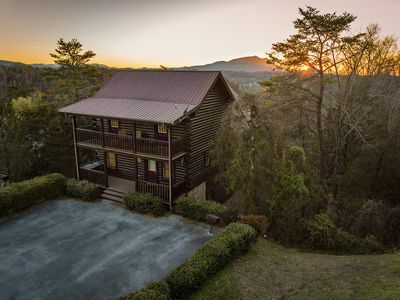 We would love to assist you with your upcoming lodging and look forward to answering any questions you may have and offering you the best rate possible. Memorial Wknd Open! 1 mile to Pkwy! 2 Miles to Dollywood! Hot Tub*Arcade*Pool! 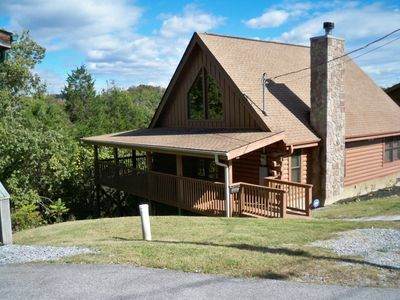 Cozy & Private Mountain Hideaway w/ Miles of Spectacular Expansive Views! 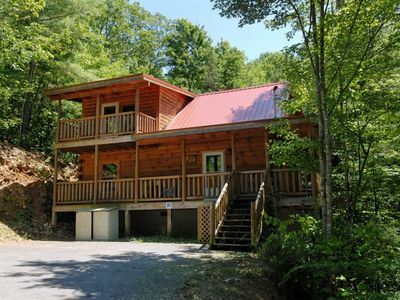 Secluded cabin with wrap around deck for Mount Le Conte Views. 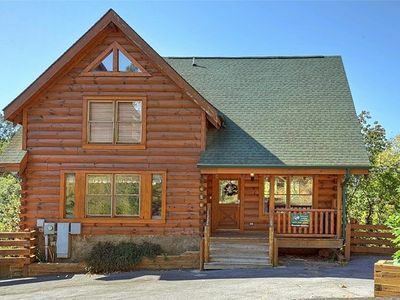 Walk in the clouds in this 4BR/3BA log home perched above the clouds overlooking P F, Sevierville. Heavenly Treehouse – Beautiful!! 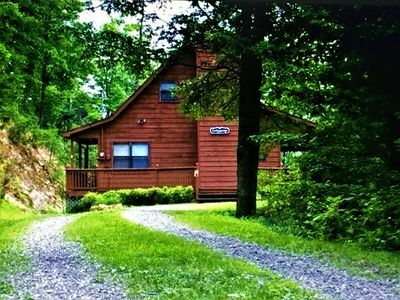 - All Wood - 2 Bed/2 Bath Cabin-A Must See!!! NEW! 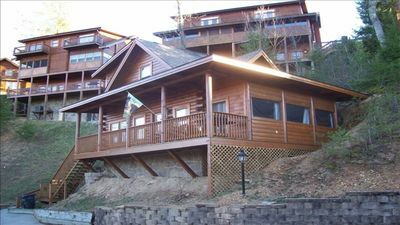 Pigeon Forge Cabin w/Hot Tub Near Dollywood!